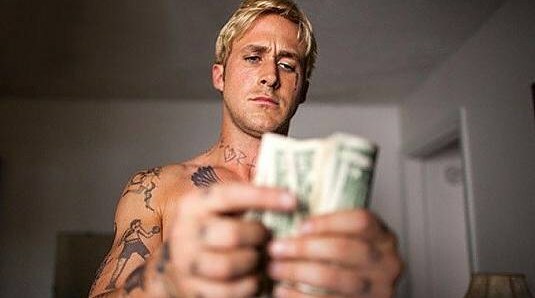 Derek Clanfrance reunites with his Blue Valentine star Ryan Gosling for another hard hitting family drama however, The Place Beyond the Pines is much more ambitious than his previous film and wide in scope. The plot spans nearly two decades and revolves around the lives of two New York families whose paths intertwine in unfortunate circumstances. It is epic, grandiose and rich with character development, plot twists and genuine human drama that feels more authentic than most of contemporary films that claim to be based on true stories. Here’s a film that isn’t afraid to be truthful, a film that doesn’t attempt to manipulate viewers’ emotions, a film that doesn’t follow Hollywood conventions of having a flawless hero chasing an evil villain; The Place Beyond the Pines is the real deal: gritty, confident and gutsy. It explores deep themes of moral dilemmas, paternal responsibilities, systematic corruption, and internal guilt. There are no heroes or villains in this film; every character does their own thing for perfectly understandable reasons. The trailers will have you thinking it’s a film about a motorcycle stunt man who decides to rob banks to provide for his family and a parallel storyline of cops closing in on him, but it’s far bigger than any of that. In fact, The Place Beyond the Pines is very much Shakespearean in the way the story is told. Every character has their own story told in their own time frame. The film is broken down into three stories, but it’s not one of those worn-out plot devices where we have three separate stories that tie together neatly at the end. It’s more like each story has its own arc and, as it comes to a conclusion, the story hands itself over to another tale that is more or less a continuation that could stand alone, as its own film. The three acts do feel like part of a whole because they do follow the same plotline and explore the same themes. We have an all-star cast with Eva Mendes, Ryan Gosling, Bradley Cooper and Ray Liotta gracing the screen and each act has its own powerhouse performance. Ryan Gosling completely owns the first act, Bradley Cooper surprises with a heartfelt performance in the second, and newcomer Dane DeHaan delivers what could very well be his breakthrough performance in the third act. For the sake of avoiding spoilers and your viewing pleasure, I won’t go into what the second and third act are about. The films kicks off with a beautiful long-tracking shot following Luke (Ryan Gosling) as he walks from his trailer onto a bike ultimately performing a stunt that involves driving in loops within a huge metal globe. I can only assume that this is a metaphor of his life. The loops are more or less his days, they come and go; fast in pace yet predestined. A lone rider rides the day-to-day routine uninterrupted. Shortly after, he discovers he’s a dad and we see Luke haphazardly driving his dirt bike through a cluttered forest with no clear path. The lone stunt man drives on, unaware of what lays ahead. Clanfrance’s epic drama bares much symbolism: a lot of scenes mirror one another and we can see how they’re all connected and part of a whole. Yet, the plot unfolds much like that ride through the forest. We never know where it’ll take us next. Just as we think we think we have the remainder of the film all figured out, the film takes a surprising turn and throws you in the midst of a completely unpredictable scenario. This is a film that will likely fly under your radar, but I strongly urge you not to miss it; The Place Beyond the Pine is one of the best films to come out in the first half of 2013.